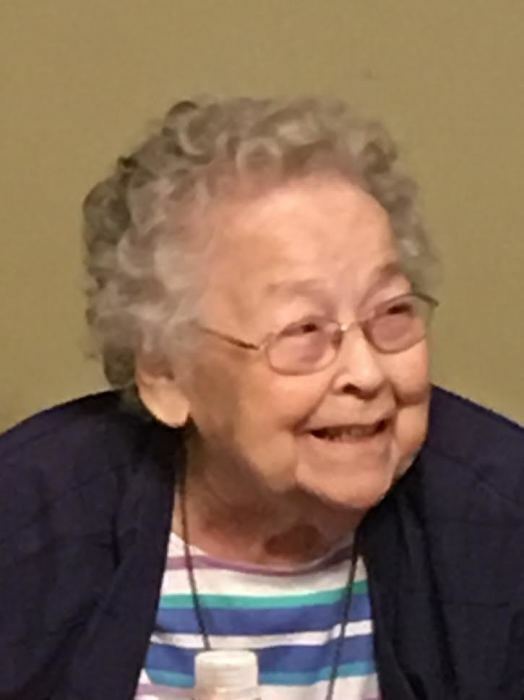 Nilah F. Wolford, age 92, a resident of Parker City, passed away on Thursday, January 17, 2019 at Parker Health and Rehab. She was a former resident of Bryant, Portland and Muncie. Nilah was born on November 26, 1926, in Adams County, the daughter of Melvin and Laura Doris (Hough) Runyon. She graduated from Poling High School in 1944 and received an honorary diploma from Indiana University. Nilah married John Wolford on November 26, 1945 and passed away on February 17, 2015. Nilah loved to work with children. She was a Girl Scout leader and Den mother. She coached girls softball and volleyball and volunteered as a reading aid at Sutton Elementary in Muncie. Nilah received the Woman of the Year award from The Star Press. She was preceded in death by 2 brothers, Marion Paul and Arthur Runyon, 1 sister, Rena Runyon and a brother-in-law, Charles Wolford and his wife Ann.
. Visitation will be held from 12 p.m. – 2 p.m. on Tuesday at Williamson-Spencer and Penrod Funeral Home in Portland with services to follow at 2 p.m. at the funeral home. Burial will follow at Gravel Hill Cemetery west of Bryant.